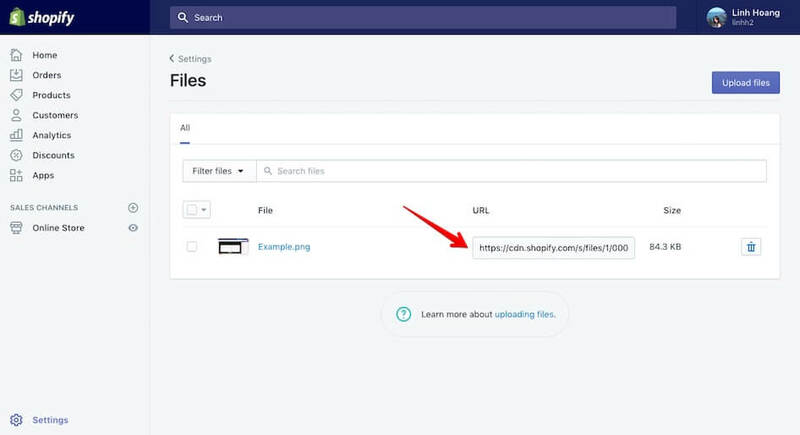 In this article, you will learn how to host files on Shopify server and link them to your page so they will be available for visitors to download, or for you to use as content on your page. 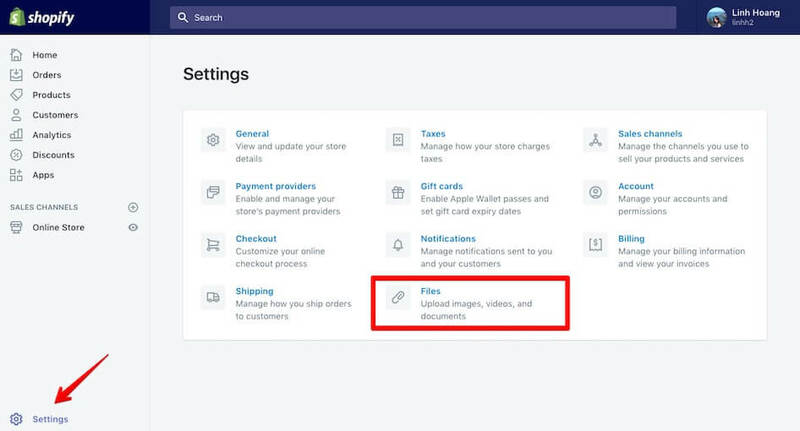 Navigate to Shopify admin > Settings > Files. 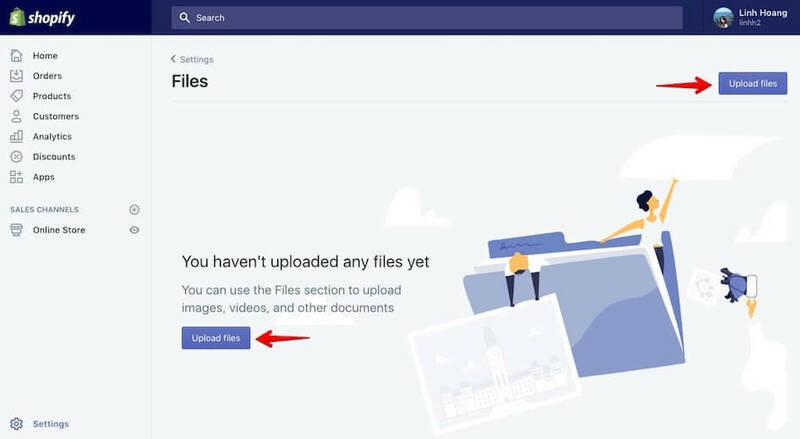 Then, upload your files using the Upload files button. Remember: Shopify limits each file to 20Mb maximum. When the file is uploaded successfully, copy its URL to be used in the next step. Now with the file ready on Shopify server, you can link it to a PageFly page via a clickable Button element, a text that displays as a hyperlink or as a content for Image element. Select a Button element on your page. In General tab > Action section > Go To URL. Paste the file’s URL you have from the previous step here. Select the whole Paragraph or a specific piece of text that you would want to turn into the hyperlink. Past the file’s URL you got from the previous step. Now when your customers click on the button or the hyperlink, the file will be downloaded to their devices. Because PageFly limits image size to 2MB only, you can use Shopify server to host large images. After that, copy and paste the URL into General tab > Content section > Image field of an Image element. Similarly, in Styling tab > Background section > Image field of any element that can have an image background (Column, Row, Section, Button, etc). For more information about Shopify File Requirements and types, you can read here. If you don’t want to host your files on Shopify server, you can choose to upload them on other hosting servers like Google Drive or Dropbox. Then, get the file URL and follow above steps to link them into a PageFly page!